Wm. Reid Richardson - Peacefully on Saturday, March 30, 2019 at Kingsway Lodge, St. Marys, in his 100th year. Beloved husband of the late Jean Richardson (2011). Missed by his daughters Donna Hill (George), Nancy Fader (and the late Douglas - 2001), Linda Howgego (Jim); grandchildren Kim Hanna (Josh), Robert Hill, Ashley Vitali (Jason), Simon Fader (Victoria Leach), Kyle Fader, Becky Howgego (Chris Barber), Tori Livingston (Ryan); great-grandchildren Jackson, Kennedy, Lincoln and Nixon Vitali, numerous nieces, nephews and sister-in-law Hazel Richardson. Predeceased by his siblings Eldon Richardson, Eric Richardson (Shirley), Vivian Arthur (Tom). Reid was a veteran of WWll serving with the RCAF. 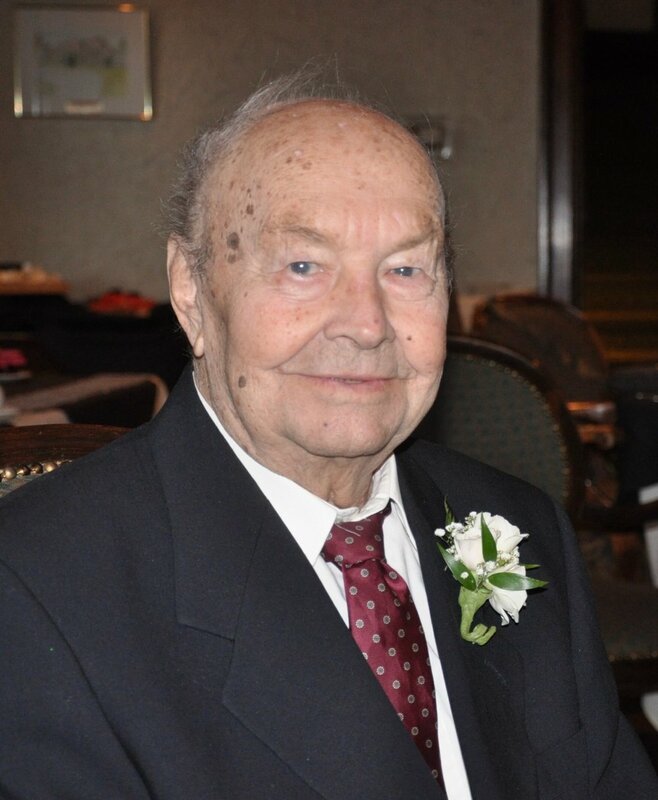 He will be remembered for a lifetime of contributions within his community. A member of the St. Marys Lions Club, the St. Marys Golf and Curling Club, and a very well-known businessman. Following the war he returned home and spent many years farming with his family just outside of town. In the early 1960’s Richardson Auto Sales was opened and his career in the car business was born. Many people in town will remember “buying their first car from Dad”. Summer was a time for fun, and Reid enjoyed his time at the cottage in Lakeside. The “Lakeside Summer Resort” was re-opened and many will remember camping, swimming, and enjoying a Saturday evening at Danceland. The family would like to thank the staff of Kingsway Lodge for their wonderful care. Cremation to take place. A Celebration of Life will be held at the St. Marys Golf & Country Club on Sunday, April 28, 2019 from 1 - 4 p.m. with words of remeberance at 2 p.m.
Memorial donations may be made to the St. Marys Health Care Foundation or the Canadian Cancer Society.